The CAA Board of Directors is made up of 15-17 volunteers who want to make a difference in the community and help us achieve our mission. Board meetings are the fourth Thursday each month at noon at the CAA Administrative Offices. Board members are expected to attend Board meetings and encouraged to serve on a committee. If you are interested in being considered for Board member openings, please fill out the Board Member application and return to 7880 Lincole Place, Lisbon, OH 44432. 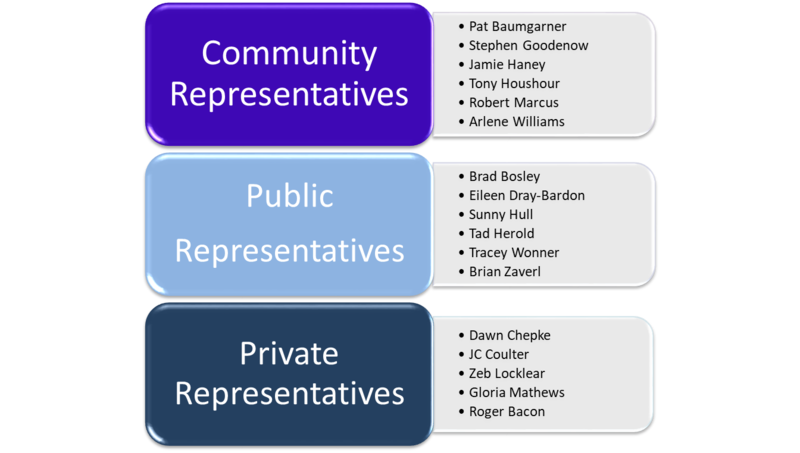 The CAA Board of Directors is composed of individuals representing three different sectors: low-income, public, and private. The following graphic depicts the current composition of the CAA Board.